Hi everyone, the Bloom by Bloom stamp set features some beautiful imagery. 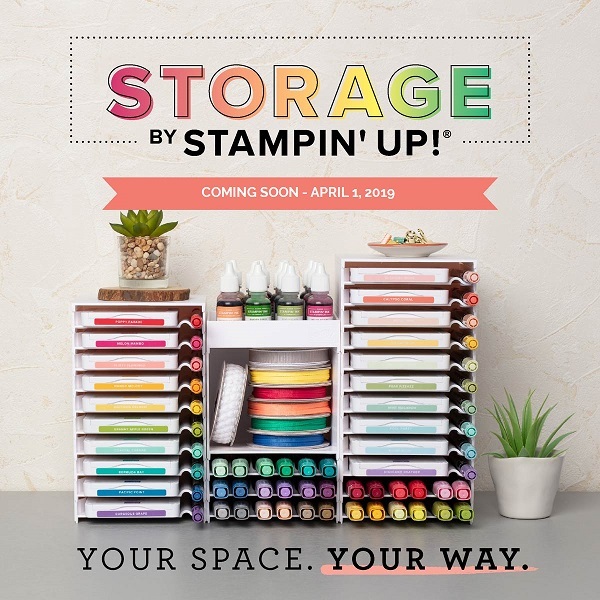 I don’t tend to create with solid stamps very often because of my love of colouring but they are really fun to create with so I am going to make sure I use them more often. One great idea, which is also so simple and quick to do, is to create your own colourful background papers with them. 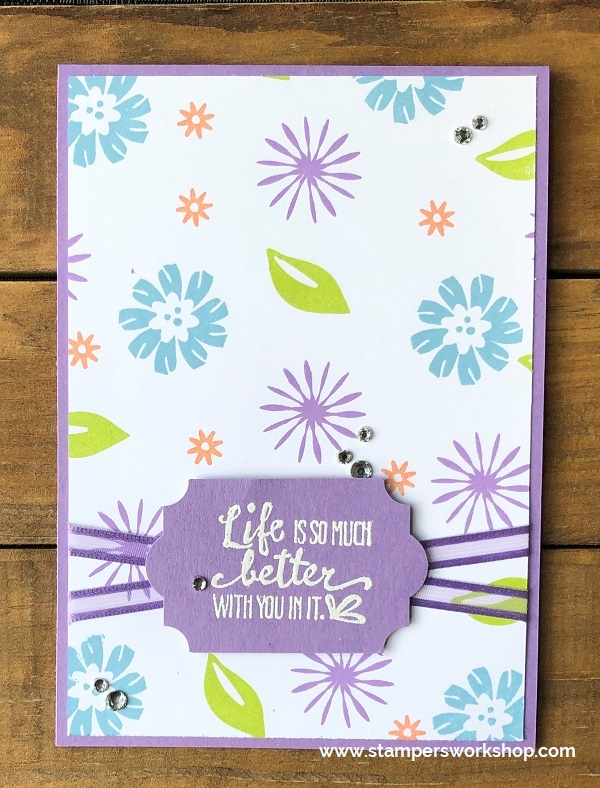 The Bloom by Bloom stamp set is perfect for this. Once the background was stamped, I added it to a card base. 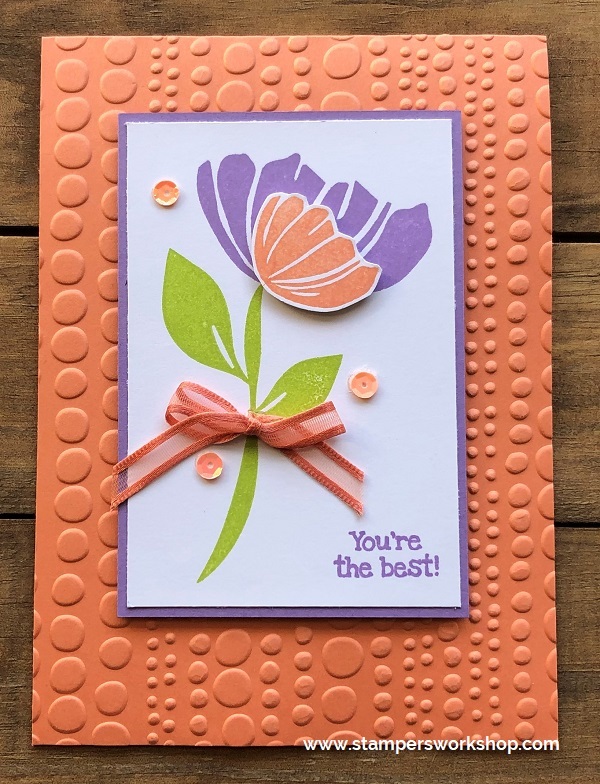 I decided to emboss the sentiment (from the Petal Palette stamp set) but you could make this card design even easier by missing the embossing step. A ribbon (this particular one is sadly no longer available) and some rhinestones finish off the design. With such a simple design you could easily make lots of cards in one sitting. It would also be fun to try different colour combinations. I hope you will give it a go! 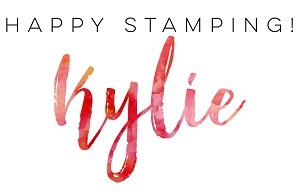 Hi everyone, last week I participated in a Blog Hop with my Stampers Anonymous team and it was so much fun. Since I still had supplies out on my desk I thought it might be fun to see what other ideas I could come up with using the colours suggested in the Blog Hop (but not necessarily obeying the rules of the challenge). 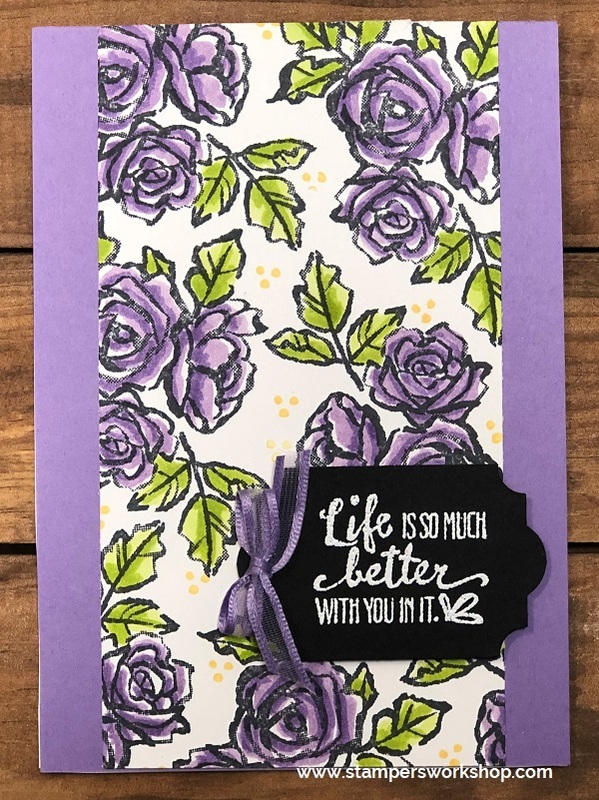 I used the Bloom by Bloom stamp set which was released in the Occasions catalogue, and the Petal Palette stamp set from the Annual Catalogue. This card was so quick and simple to make. I really love how it came together too. It would be so easy to quickly whip up a few cards like this. I think it would be great to play around with different colour combinations too. Hi everyone, Happy Valentine’s Day but more importantly – Happy Blog Hop day! Yay! I love participating in these challenges as they really help me to think outside the square. 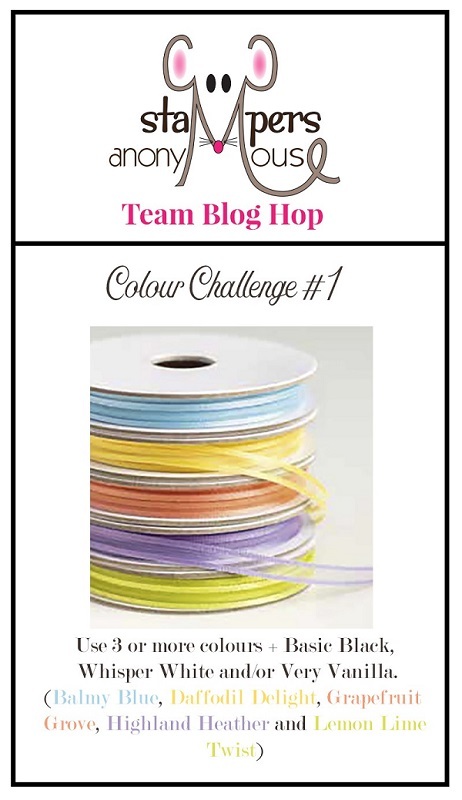 Our blog hop is a colour challenge inspired by the Organdy Ribbon Combo Pack. The challenge was to use three or more colours (Balmy Blue, Daffodil Delight, Grapefruit Grove, Highland Heather and Lemon Lime Twist) with Basic Black, Whisper White and/or Very Vanilla. I chose Highland Heather, Lemon Lime Twist and to be honest I nearly forgot the third colour. Fortunately, when I asked my friends for some advice regarding my card my sweet friend, Melissa, reminded me that I needed another colour. That’s where the dot stamp from the Bloom By Bloom stamp set came in handy as I used it to add Daffodil Delight to my centre panel. This was such a FUN challenge! It is great to work with colours and colour combinations you aren’t usually drawn to. I’ve been so inspired that I actually have another few cards on the go using this same palette. The only disappointing thing to share is that the Organdy Ribbon Combo Pack is currently unavailable. It has been immensely popular! It’s such a pretty set of ribbon. Don’t worry though, there are still plenty of lovely options to choose as your free item during Sale-A-Bration. 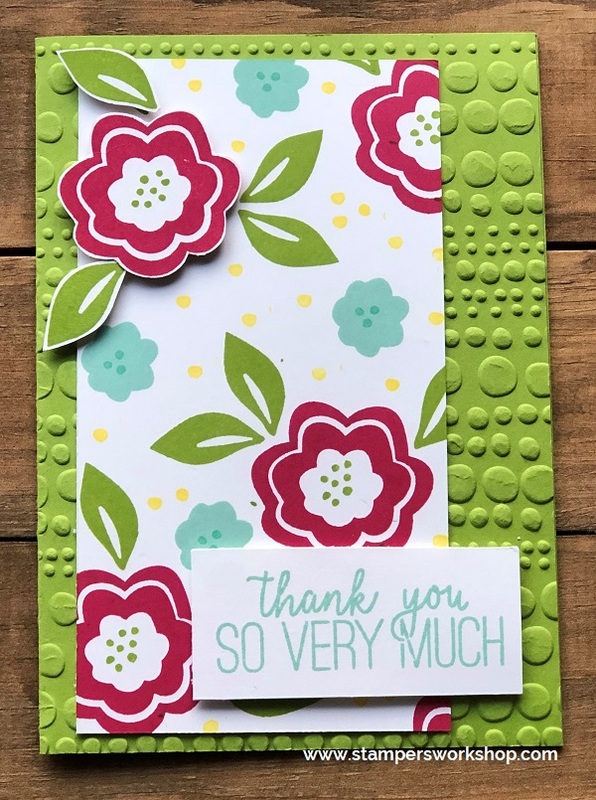 I hope you loved seeing my card and that you enjoy the rest of the blog hop.